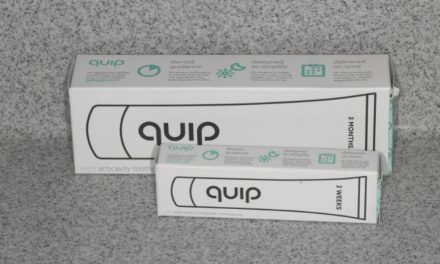 A good quality toothpaste with much to offer. It is particularly useful for fighting bad breath and gum disease. The only thing that is holding it back is the controversy regarding triclosan. Colgate total comes in 4 different versions: Original Care, Pro Gum Health, Charcoal and Whitening. I would recommend staying away from the whitening and charcoal versions of this toothpaste. Colgate total whitening is quite abrasive and Colgate total charcoal deep clean toothpaste does not work. 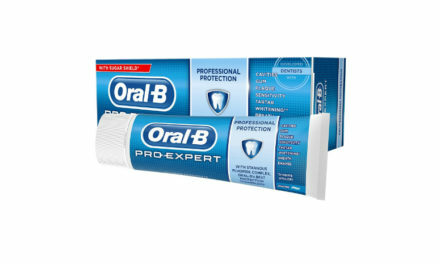 Original care and Pro gum health are great toothpastes and will be covered in more detail here. What is the most important role of a toothpaste? Well looking at the Colgate total packaging it doesn’t really matter. 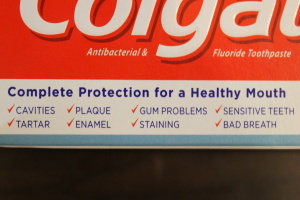 It looks as though the Colgate designers had a brainstorming session on the front of the package and gave ticks for each correct answer. They of course got eight out of eight. Now I have to make a confession. I actually use Colgate total daily and think it is a cracking toothpaste. To keep it fair let’s put it to the test and see if we can reveal any dark secrets. Colgate total strengthens your teeth because it has the maximum concentration of fluoride in 1450ppm. Fluoride works to prevent decay in three ways. Firstly fluoride helps remineralise the enamel of the tooth by attracting ions the damaged area. Secondly, Fluoride hardens the hydroxyapatite in the enamel of the tooth turning it into fluorapatite. Fluorapatite is more decay resistant than normal enamel. Finally, Fluoride also works to inhibit the growth of decay forming bacteria by limiting their metabolism. Colgate total provides the maximum protection against decay and scores full marks on this section. Having said all this the medicines and healthcare products regulatory agency (MHRA) in the United Kingdom have licensed the product. The MHRA would not license the product if they did not think it was safe. Colgate total contains only a small amount of triclosan however if you want to play it safe I would stay away from triclosan containing products especially if you are pregnant. Fluoride can help reduce sensitivity by remineralising some of the worn down enamel and strengthening the enamel. This will not have as great an effect as specialised desensitising agents such as Novamin found in Sensodyne Repair and protect or arginine found in Colgate Sensitive Pro Relief . Toothpastes contain silica to help rub stains off the teeth and clear away plaque. Colgate total has a smooth texture because it has a low abrasiveness. This is a trait that I look for in a toothpaste as too abrasive toothpastes can cause unnecessary tooth wear on tooth enamel resulting in sensitivity. On the Relative Dentine Abrasion (RDA) score the Colgate total came in at a 70 (the lower the number the better) This is how colgate total compares with some of its competitors. As you can see from the table Colgate total comes in low down on the table, which is great. Always stay away from whitening toothpastes because they are usually abrasive. If whitening toothpastes are used regularly they can cause damage to your teeth. Triclosan has another benefit other than preventing gum disease, getting rid of bad breath. 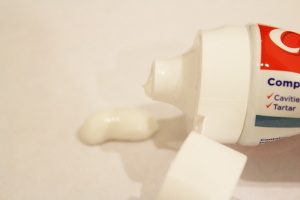 Triclosan is an antimicrobial compound that reduces volatile sulphur compounds (VSC’s). It does so by eliminating the bacteria that creates the VSC’s which in turn prevents bad breath. Colgate total tastes like a normal, mild mint toothpaste. It is not spectacularly tasty but is easy to use and leaves your mouth feeling fresh. At £4.20for 125ml tube of toothpaste, colgate total does represent good value for money especially compared to it’s competitors. It is all around a good quality toothpaste however the only question you have to ask yourself is in regards to the triclosan. 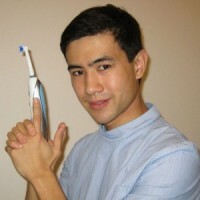 Does Colgate total whiten your teeth? No over the counter toothpaste can internally whiten (bleach) your teeth because they miss the key ingredient hydrogen peroxide or carbamide peroxide to do this. Colgate total can remove dark coloured stains from the surface of your teeth making them appear whiter. What toothbrush would you recommend to use with colgate total? I would recommend using an electric toothbrush. 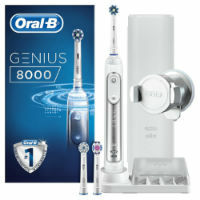 If you want to find out my recommended list of electric toothbrushes click here. Is Colgate total suitable for children? Colgate total has not been tested for children under 6 years old. This toothpaste is advised for children over 6 years old and adults. Always follow the advice on the manufacturer’s label and packaging. Is Colgate total gluten free? Yes colgate has certified that the toothpaste is gluten free. Colgate total does not contain any alcohol. Can you use colgate total if you have braces, crowns, general dental work? Yes colgate total has been designed to be an every day toothpaste that you can use with braces, crowns and all other dental restorations. For this toothpaste it all depends on where you stand on the safety of triclosan. 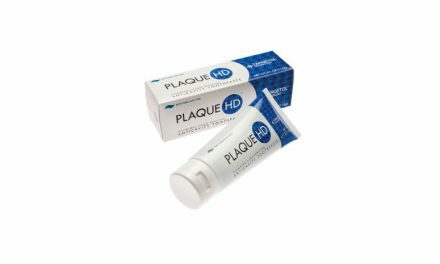 If you are willing to accept the risk and providing you do not have sensitivity this is one of the best toothpastes on offer. If not then you better start looking elsewhere.